Are you moving to a new home and worried about moving your piano? Or do you need to relocate a piano to a new location? Whatever the reason you need to relocate your prized piano, this suddenly creates a huge hassle and worry for you. Whether you are moving your piano across town or across the country, you want it to be in safe hands. Piano moving can be part of a full house move or it could be a single-item job. Pianos are notoriously difficult to move, and we have all seen the cartoons and films where something goes wrong and the beautiful instrument is dropped and smashed into a thousand pieces. This certainly would provide no comedic element if it happened to your beautiful piano. So what is the verdict? Can you safely move your piano on your own or should you hire piano moving specialists for the job? 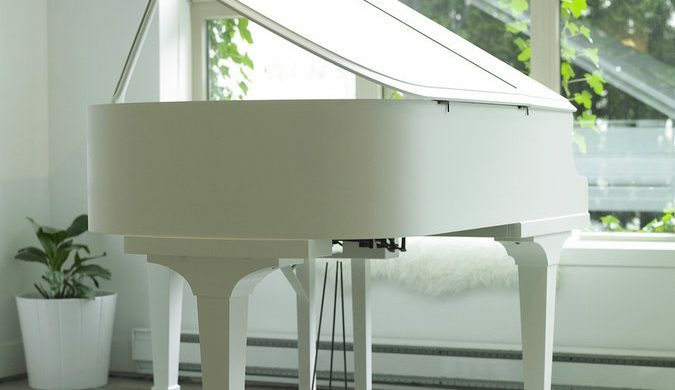 In this article, we will talk about what you should consider to move a piano safely and efficiently and what you will need if you decide to move a piano without professional help. 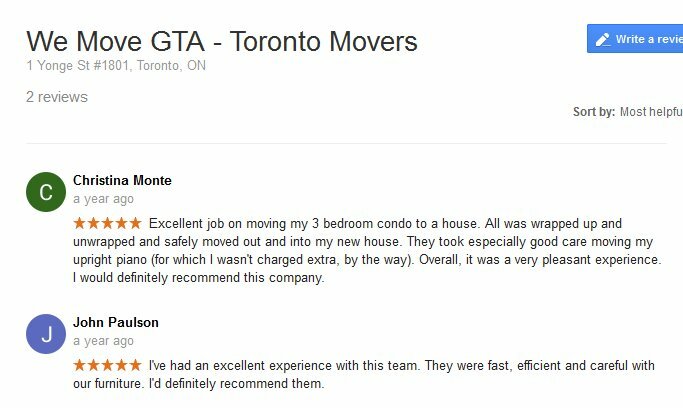 Below you will also find a review of 15 Professional Piano Movers across Ontario to see how they execute piano moving and what they would charge. Anytime you are ready, you can get free piano moving quotes through 5MoversQuotes from moving companies that specialize in piano moving services. All you need to do is click the request button and you can begin comparing moving costs. We understand that your Piano is precious..
Well, it is a universally accepted fact that pianos are clunky, heavy, big, and, generally, hard to move. And yet, despite all these inconveniences that come with owning a grand piano, musicians and collectors around the world want to have such a marvelous instrument in their own home. A piano is really a treasured possession in a household, setting the home apart and giving it a truly distinguished character. 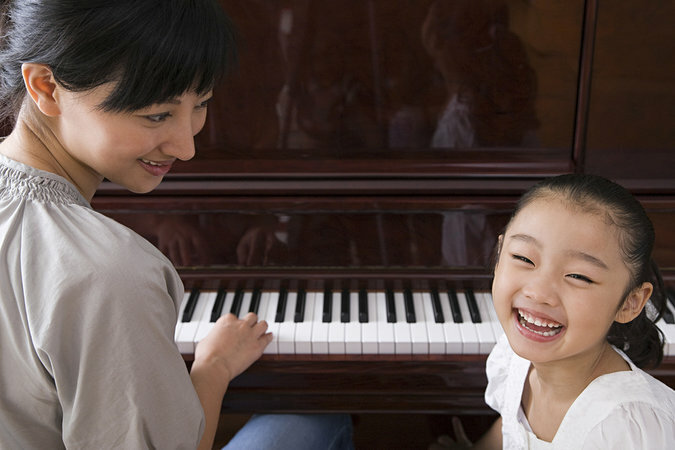 Even if your piano is not grand and beautiful, if it belonged to a family member, it may still have great sentimental value. Whatever the reason may be, people often become deeply attached to their pianos. They carry great value, sentimental or monetary, and for that reason, moving a piano really is a science that takes careful planning and an expert operation. There is a story of a woman who, half a century ago, dragged her piano from Japan to America on board a ship. Clearly people will go to desperate lengths for their precious piano. However, we have come a long way in the last 500 years. You now have the internet at your fingertips and access to innovative companies like 5 Movers Quotes to help you overcome such hurdles in life like the transport of an old and beloved piano from one location to another at the most competitive price ever. Moving a piano requires training, and muscle, and teamwork. There are so many steps to the process that require careful problem solving. How do you get through the doorway, for example? Is your piano on the second floor of a house with a staircase? 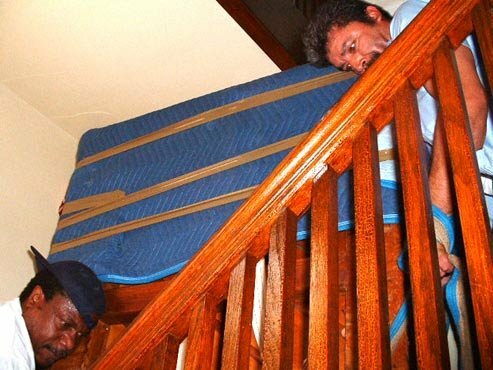 Maneuvering a piano down the stairs, as you can imagine, is a huge hurdle in which many things could go wrong. If you do not have the required expertise to carry out an operation like this, there are dangers not only to you but to anyone trying to help you, as well as to the piano itself. There are so many logistics that have to be worked out. Things like narrow staircases, doorways, various levels of the building all need to be navigated all the while making sure that no damage comes to your piano. Moving a heavy piece of furniture is not an easy task and without training or the right tools, your musical instrument can be damaged. For moving any type of piano, it is highly recommended that you obtain a professional piano moving service. 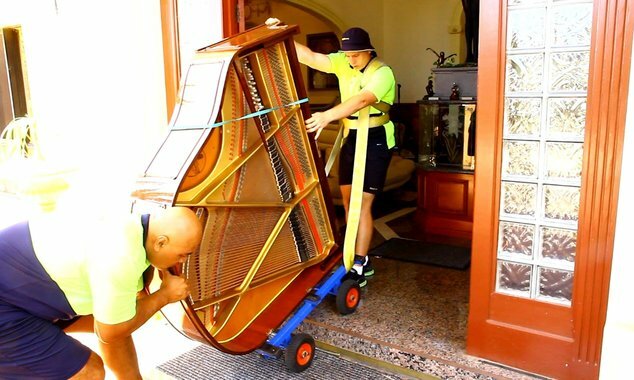 Piano moving specialists are better equipped to transport delicate objects such as pianos without damage. Many professional moving companies offer piano moving services at affordable rates. The service can be part of a full household move or just to relocate a piano from one site to another. These companies have the equipment and experience to do the job so that not even one tuning key will be lost during transport. When you hire a professional moving company to move a piano, you take out the stress and prevent injury to yourself or damage to this valuable musical instrument. The moving team has the full responsibility for the task and relevant insurance can cover any possible damage. Your contract with your selected movers should specify the insurance cover for the make and model of your piano so you can have peace of mind that it can be restored to its original state should the unexpected occur. If you own a grand piano and you need to move your household, it is important that you hire a professional moving company that specializes in piano moving. The cost of moving your piano will depend on many things such as current location, and distance of the move. Moving a small upright piano across town could cost you as little as $100 but if it involves stairs, it could cost around $250. A valuable concert grand piano to be moved long distance could cost around $1,000. Piano movers generally use 2 types of moving equipment for moving a piano. A dolly and hump strap are required during piano moving preparation. These are absolutely necessary to ensure balance and to protect the piano’s bottom from scuffs or scratches. For an upright piano, a locking piano belt is needed to the instrument securely while for a grand piano will require 2 locking piano belts. A piano skidboard is also needed for securing the flat side of a grand piano. You will also need moving pads and blankets and packing tape for the move. Now that you have seen what you require to move a piano on your own, it is important to consider the costs of a DIY piano move. You will need to rent a truck, obtain the basic piano moving equipment and supplies to ensure you successfully relocate a piano. You could spend anywhere from $200 to $400 for a short distance move and more if it is long distance. For this estimate, you will do all the hard work and would probably have to get additional men to help you, further moving up your cost. There are professional movers that charge anywhere from $250-$1000 for a local piano move based on factors like piano weight and size and distance of the move. Do you still think it is better to move your piano by yourself? You could save yourself a lot of headache and spend less when you hire a qualified piano moving company to do the job. To get a clear picture of the cost, you can request free online piano moving quotes to receive estimates from 5 piano moving specialists. This won’t obligate you in any way and you can have complete freedom to interview your potential movers and hire the best one for the job. The foremost question you want to ask is “How much does it cost to move a piano?” Unfortunately, there is no quick answer since piano moving rates are estimated based on several factors. Piano moving companies want to know if you are moving an upright piano or a grand piano. Movers would also want to know the size of the piano so they know what is needed for the job – equipment required and how many men. Piano moving is just one of specialty moving services offered by experienced moving companies throughout Canada. These companies vary in terms of expertise and experience. 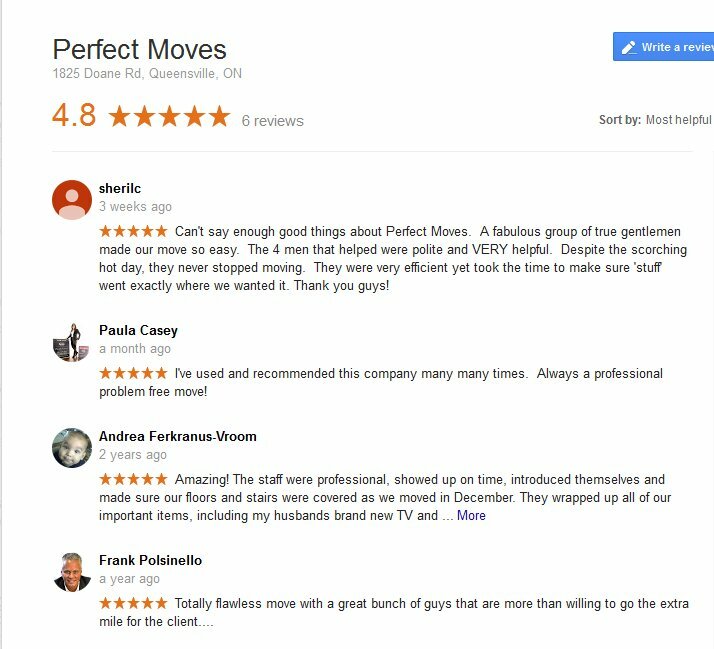 To choose the best mover, you need to compare multiple piano moving quotes and check on company background. 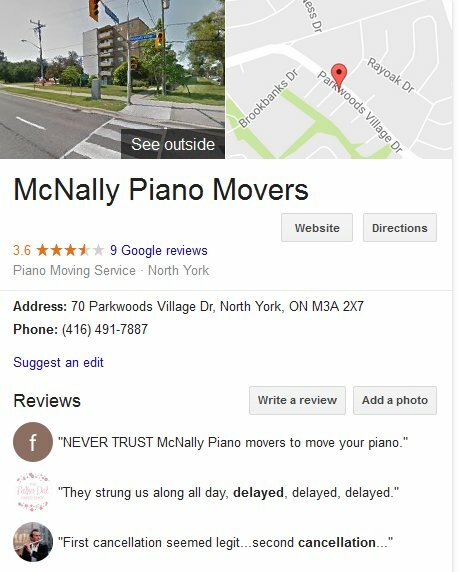 Below are some experienced and professional piano movers in Ontario with customer reviews to help narrow down your search for the right piano moving specialist. Braymore Piano Movers have been in the moving business since 1981. Aside from Toronto, they are also considered a choice piano moving company in Markham, Mississauga, and adjoining cities in the Greater Toronto Area. This piano moving specialist company was voted Best Piano Movers in 2013 on Homestars. No published rates are available for piano moving but according to the company’s website, rates usually start at $200. The final estimate depends on factors like size of piano, location of pick-up and delivery, complexity of the move (stairs, tight spaces, other constraints) and timing of move. Check out how Braymore Piano Movers execute a delicate piano moving situation. This moving company is a highly skilled piano mover. It is a family owned business for residential and commercial moves and piano moving services. Based in Queensville, Ontario, it has more than 20 years of professional experience. This piano moving company services Toronto, all of Southern Ontario including Hamilton, Mississauga, London, Kitchener, Ottawa, Kingston and more. In business for over 25 years, this company is a full service piano company with fully insured staff with necessary experience to handling piano moves. 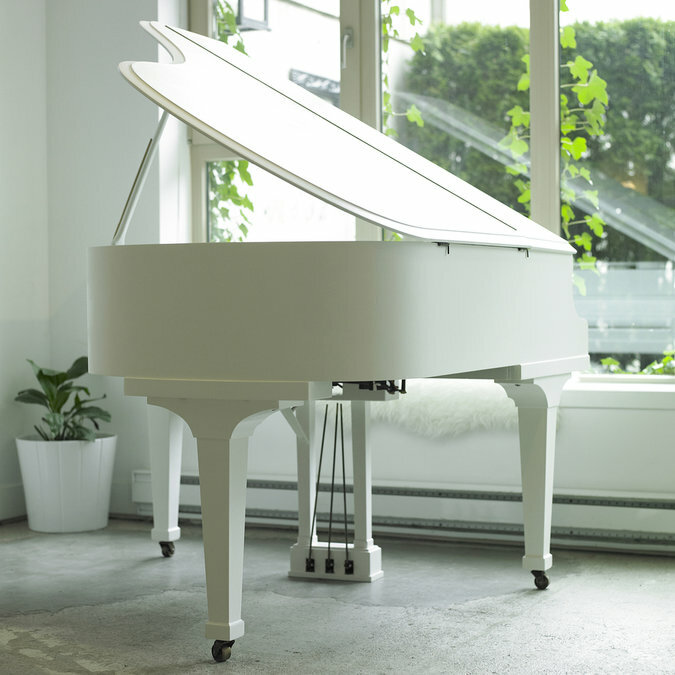 They also offer piano tuning, piano restoration, and piano storage. 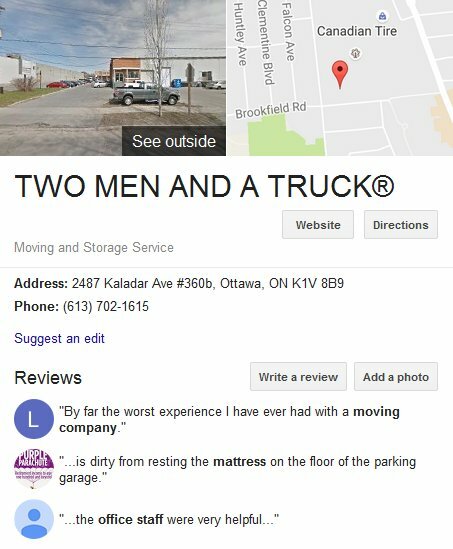 Two men and a Truck has staff that are trained to move all kinds of pianos and specialty equipment. Whether you are moving just a piano or a whole household, this moving company can take care of it for you. 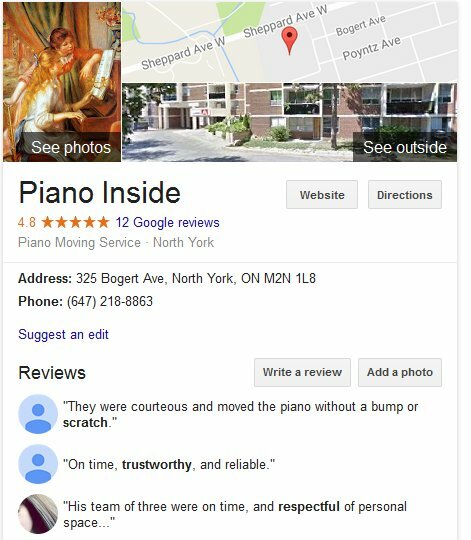 Piano Inside is a professional piano company in Toronto that offers innovative services including piano moving, tuning, and sales. With more than 10 years of experience, this company knows all about proper handling of a piano for relocation. 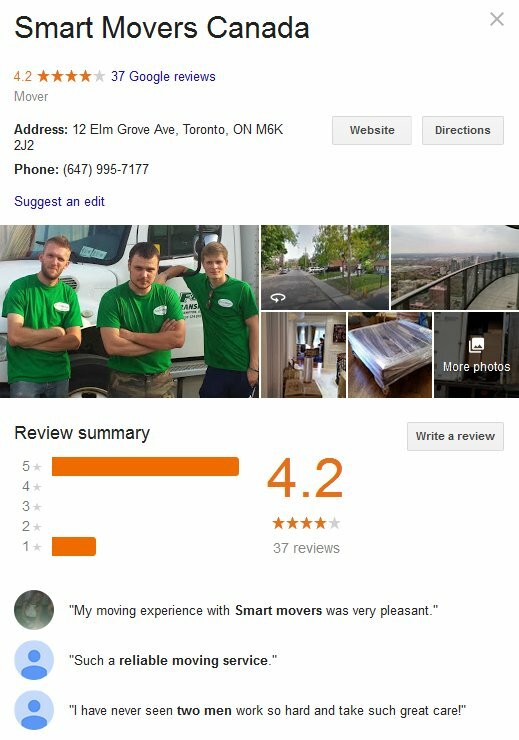 They are easily one of the best piano moving specialists in Toronto. They guarantee safety of your beloved piano during transport. 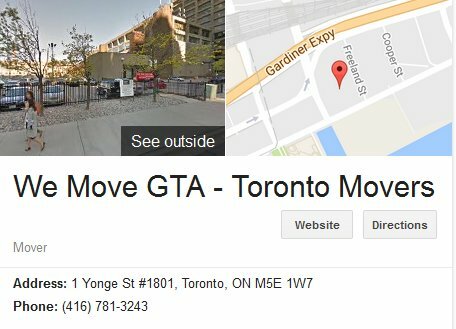 For moving a piano within the GTA, their piano moving rates start at $150 to $450 or more, depending on your location and other details. 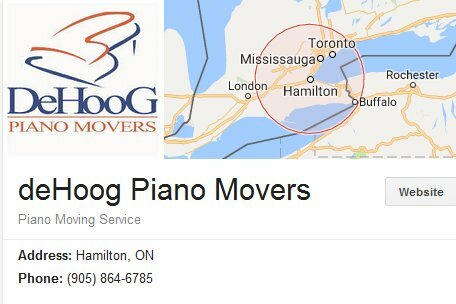 This is a full moving company that also offers piano moving services in Greater Toronto and the whole southern Ontario. They are experts at moving vertical and upright pianos or horizontal (grand) pianos. Operating since 2010, they serve small to mid-size companies and the general public. They know the sentimental and monetary value of your piano so they are committed to its safe and efficient transport from one location to another. 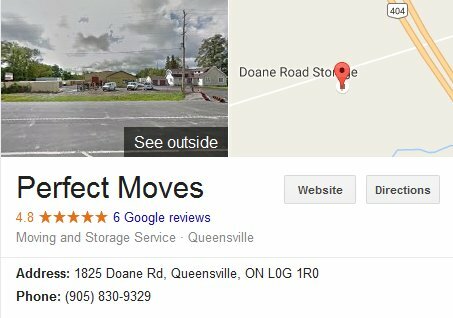 This moving company started in 1969 with local store deliveries and over time, grew to be a prosperous and reputable moving company. 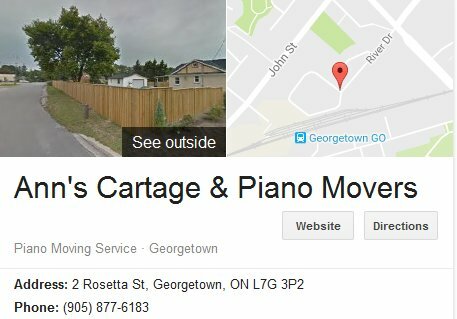 Based in London, Ontario, it has built a reputation of trust for local and long distance moves and specializes in piano moving services. The company has moved every kind of piano there is, from upstairs or downstairs location, and even uses craning services when needed for relocating a piano. Now into their 50th year in the moving industry, the company continues to operate as a small and independent firm with customer satisfaction as its #1 priority. It has consistently won the award for Best of London by the London Free Press. 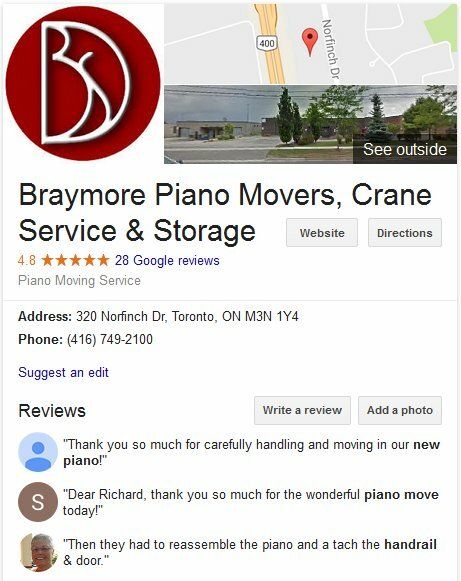 This piano mover is located in Milton, Ontario and has more than 40 years of experience moving classic pianos, grand pianos, European and Asian pianos. It offers competitive rates and professional and courteous service. When it comes to safely and securely transporting pianos throughout the GTA and province wide, this is a company you can count on. As a member of the Milton Chamber of Commerce and accredited with the Better Business Bureau, you can be sure you are dealing with a reputable piano moving specialist. This is a professional moving company with a complete array of moving services, including piano moving. They understand the difficulty of such a move and commit to taking responsibility of safely moving your valuable piano to a new location with only the highest standards of professionalism and care. The team ensures that the piano is carefully wrapped with protective blankets/cover, loaded carefully into the truck and secured with special fasteners. After the move, the team also ensures that your piano is configured because vibrations during the move can always cause changes to the instrument’s sounds. 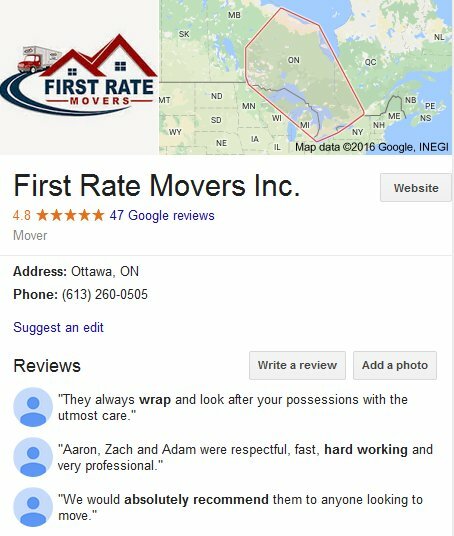 This Ottawa moving company has been operating since 2003 and is one of the most respected moving companies due to its professional and excellent services. They provide full moving services including piano moving. 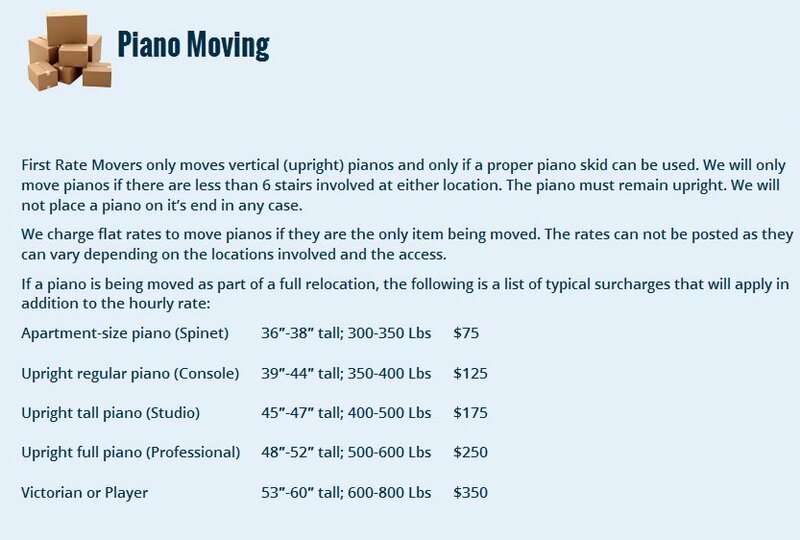 They charge flat rates to move pianos if it is a solo item and the rates will vary depending on location and complexity of access. The company is accredited with the BBB and is a member of the Canadian Association of Movers. Below are the piano moving rates of this first-rate moving company.Below are the piano moving rates of this first-rate moving company. It is unusual for movers to publish rates for piano moving so transparency is definitely a plus factor for this piano moving specialist. Ann’s Cartage and Piano Movers, Inc. This moving specialist prides itself in being a stress-free moving company with full-time employees. It does not sub-contract its moving jobs which assures customers that the company takes charge of every aspect of their move. Moving pianos is their specialty and assures the job will be done right by their dedicated staff. Since 1968, the company has operated as an independent family business. Over more than 4 decades, it has developed a solid reputation as a reliable and professional mover. 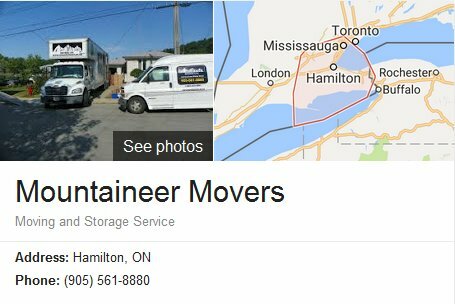 This Hamilton moving company is the local moving specialist for piano moving in the Burlington region. It has the expertise and experience for moving player pianos, organs, and grand pianos. 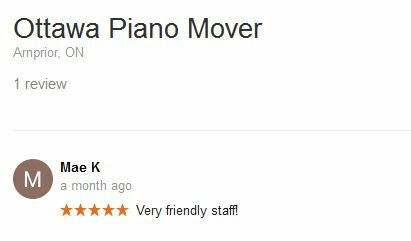 When you book this piano mover, moving staff come to assess how to move your piano safely. 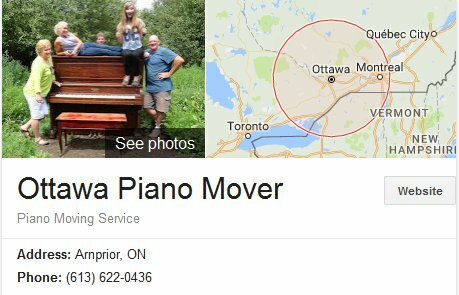 This piano moving specialist services the areas of Ottawa, Kanata, Stittsville, and surrounding communities. It is a fully insured and certified professional piano relocation company offering reasonable rates for any type of piano for local or long distance moving. The company also accepts piano storage and restoration. 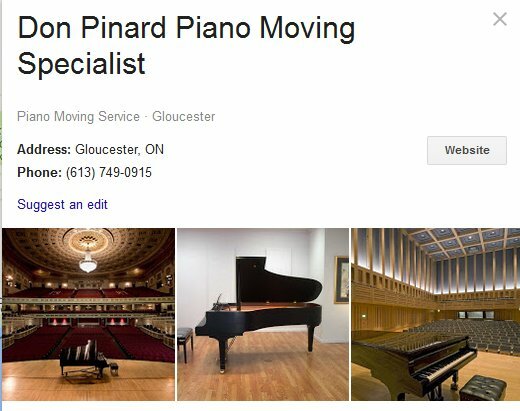 This Gloucester piano mover specializes in moving all types of pianos and is considered to be Ottawa’s leading piano mover. They employ specially trained staff for safe and efficient piano relocation. As with other piano movers, they offer piano moving quotes based on type and size of the piano to be moved, distance, and difficulties such as stairs or narrow spaces. These are just 15 of the most experienced piano movers in Ontario. We can help you connect with a piano moving specialist in your area with our free moving quotes. 5moversquotes has a simple and effective online system for finding the best movers in Canada or the United States. By filling out a quick online form with the details of your move such as address, item description, and pick-up and destination address, we will notify movers in your area that are qualified and trained for your type of move. For piano moves, it is important to provide special situations that require handling such as narrow doorways, or stairs so that piano moving companies can provide a fair and accurate quote. The more information you provide, the easier it will be for movers to estimate the cost of moving your piano. 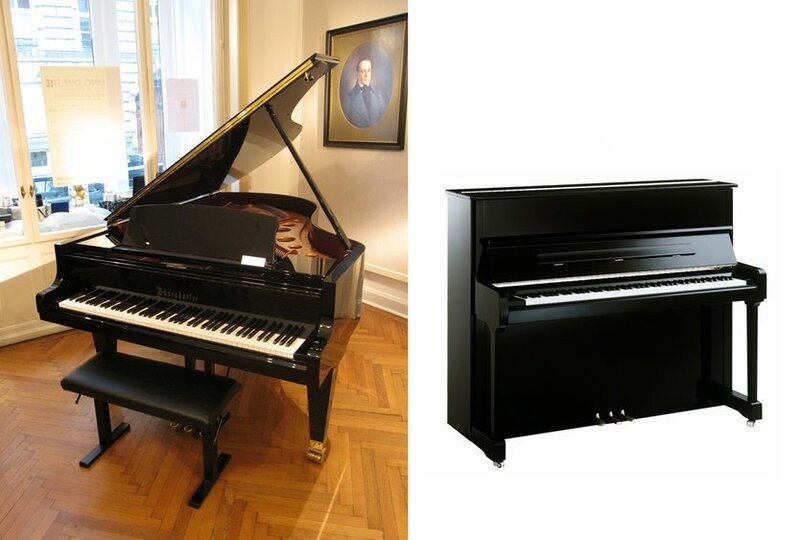 You can complete your shopping for the right piano mover by simply filling out our form. You don’t need to waste time calling multiple companies on the phone and repeating your details over and over again. With just one form, you connect with multiple piano moving specialists who will be competing for the job with the lowest possible rates. We pass on your request for piano moving quotes to professional piano movers nearest you. 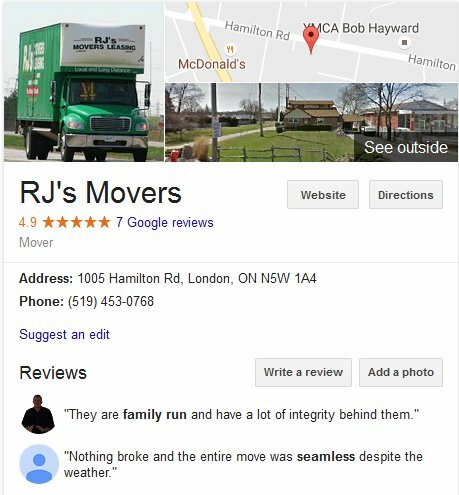 You are guaranteed to receive quotes only from movers that are licensed and with a good reputation. Once you receive your free quotes, you can begin to compare and interview piano moving companies that suit your requirements. Feel free to negotiate the final moving price with the movers to ensure you get a good bargain. The company you choose must do a physical assessment of your location to work out the details of the move and the final cost. You should ask for a final and written estimate from your chosen movers with a breakdown of the cost such as how many hours and how many men will be performing the relocation. 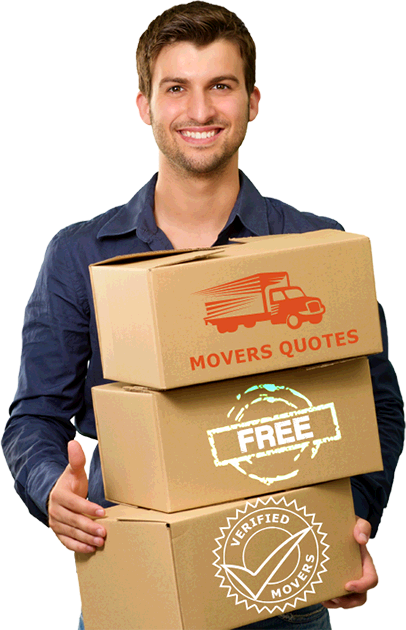 5 Movers Quotes really is the best option for gathering quotes for your moving job. So if you have a piano to move, start with us. 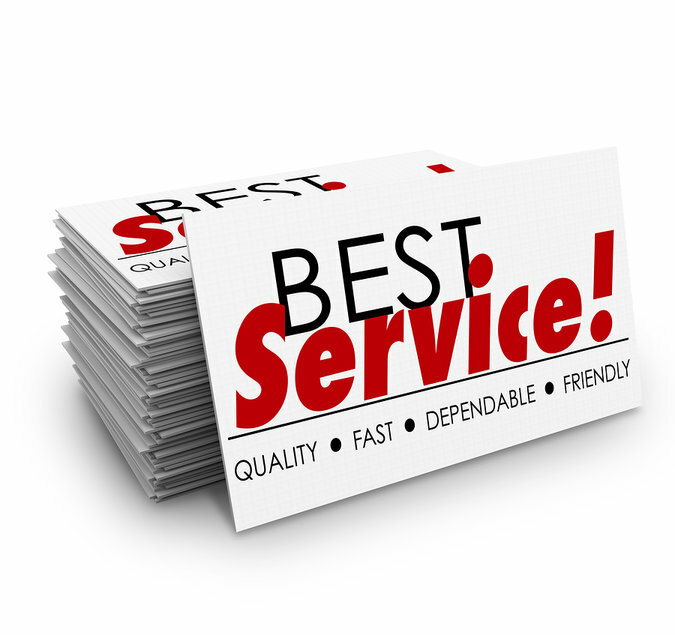 You will find our website easy to navigate and our service efficient and helpful. Here at 5 Movers Quotes our number one priority is to make sure that your moving job is made as easy as it can be. If after receiving your quotes you should decide not to hire any of our movers, it is absolutely fine and you are under no obligation to work with any one of them. We always wish you the best of luck in your relocation needs. It is so easy to find and choose the right piano moving company when you request for your free and no obligation quotes from 5moversquotes. Compare today and make the smart choice for moving your beloved piano.